Joel & Juliet Schaefer Jeske performing together at the Williamsburg Kite Festival. Mc Carren Park, Brooklyn, NY. Not only was Al Ackerman's walkaround the other day extremely unpleasant, it was also ripped off from Felix Adler. 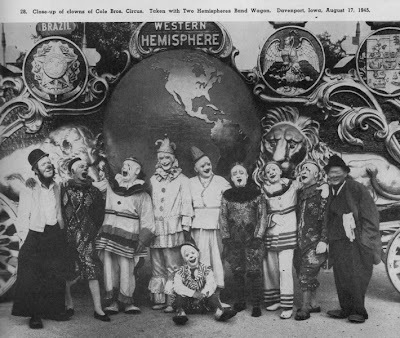 It looks like Horace Laird is third from the left, that could be Lee Virtue fourth from left and Otto Griebling on the far right with the blurred face. 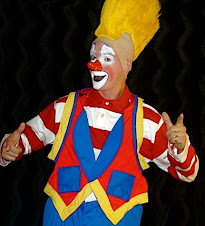 The business — combining animation, licensing of the character, and personal appearances — made millions, as Harmon trained more than 200 Bozos over the years to represent him in local markets. 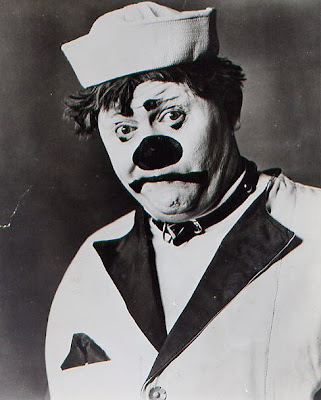 Bozo — portrayed in Chicago for many years by Bob Bell — was so popular that the waiting list for tickets to a TV show eventually stretched to a decade, prompting the station to stop taking reservations for 10 years. 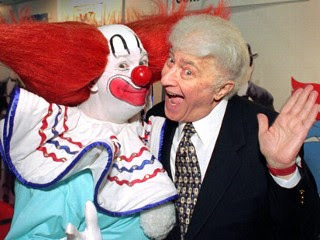 On the day in 1990 when WGN started taking reservations again, it took just five hours to book the show for five more years. The phone company reported more than 27 million phone call attempts had been made. 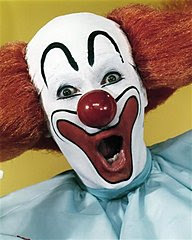 He said he was claiming credit only for what he added to the character — "What I sound like, what I look like, what I walk like" — and what he did to popularize Bozo. Associated Press writers Polly Anderson in New York and Robert Jablon in Los Angeles contributed to this story. 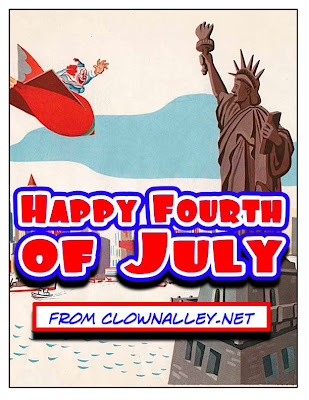 If there is anyone out there in Rhode Island who will have the Fourth of July parade from Bristol on their ABC affiliate tomorrow morning, would you PLEASE tape it for me??? 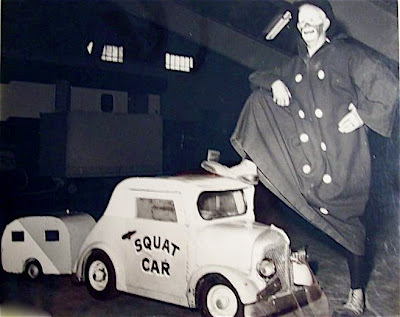 I'll be up there with my comedy car and would hate to miss any network television footage. 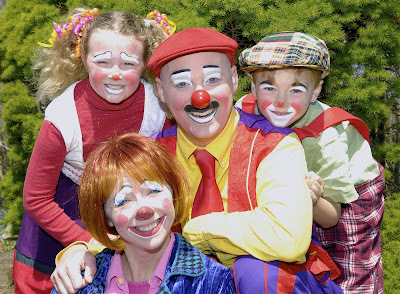 The Stewart Family Clowns, otherwise known as the latest version of The Seaside Clowns--tearing it up on Cape Cod. Pictured: 2008 Felix Adler Award winner Jay with his wife Kristin (grownups), Karen (10) and Nick (7). 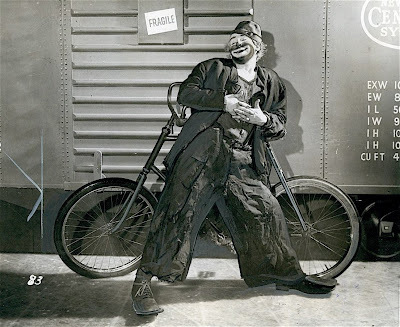 This looks like it could be a publicity shot for one of the Ice Capades movies of the 1940s. 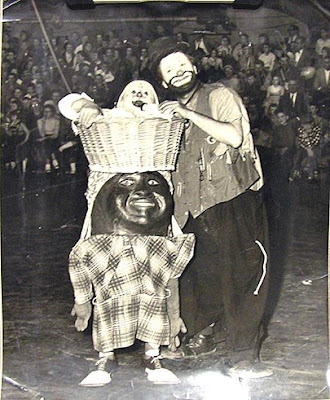 What are these two, "The Ku Klux Klowns". 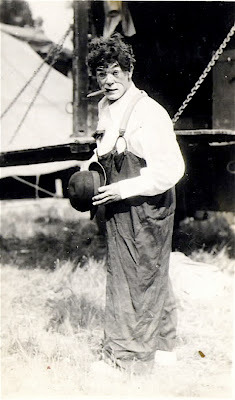 It looks like our photo of Otto in whiteface the other day was actually a picture of Cole Bros. alleymate Art Lind. 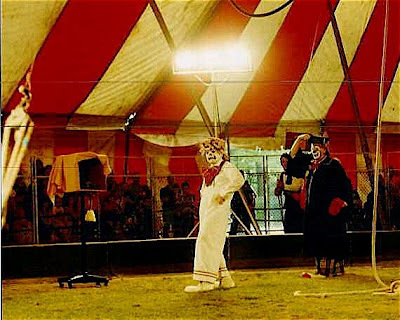 David Larible, Gensi Bezaubert and Bernhard Paul performing their Cupid entree during the current edition of Circus Roncalli. Find out more about Kirk (and wish him a Happy Birthday) by clicking here. 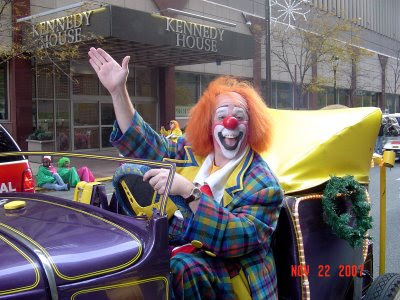 Bobby Hakes, the man who supplied clownalley.net with a steady stream of classic circus videos, passed away peacefully last Saturday night. 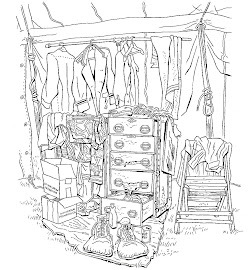 I was surprised yesterday morning to receive a phone call from Bobby's loving wife of 40 years, Phips (of the Sloan/Yelding family) who thanked me for being a loyal customer over the years and assured me that my most recent order would be on it's way shortly. 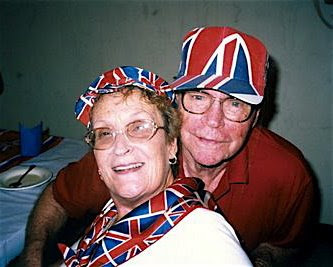 I will never cease to be awed and impressed with the work ethic of real "old circus" type people. 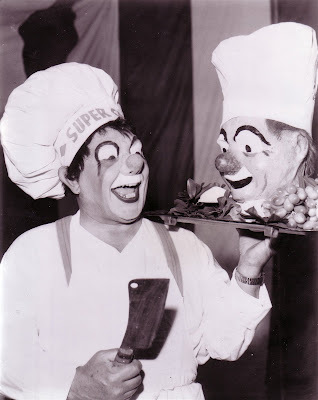 Billy Vaughn and Mike Snyder: two clowns, looking exactly like what clowns are supposed to look like, doing precisely what it is that clowns are supposed to do on an indoor Vidbel date. 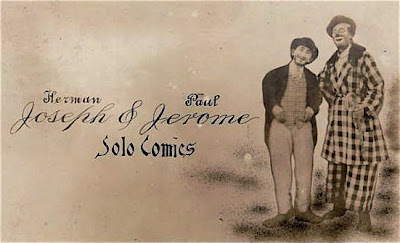 Would someone like to explain to me just how it is that Herman Joseph and Paul Jerome are a team of "solo comics"? 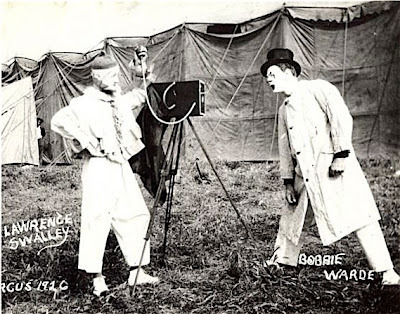 Lawrence Swalley and Bobbie Warde doing the Camera Gag on the Al G. Barnes Circus in 1926. 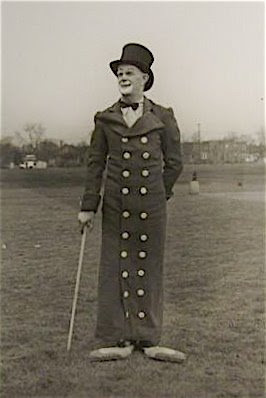 Producing clown and leader of the Alfredo Landon Troupe of "small statured circus comedians", Mr. Alf Landon. 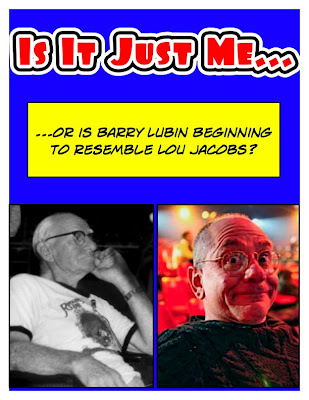 "The Big Apple Water Gag" written by Barry Lubin and Jeff Gordon, performed over the years By Grandma, Gordoon, Francesco and done here with Joel Jeske. For most of the "Step Right Up!" tour the gag was performed by Grandma, Francesco and Jeske as a trio. 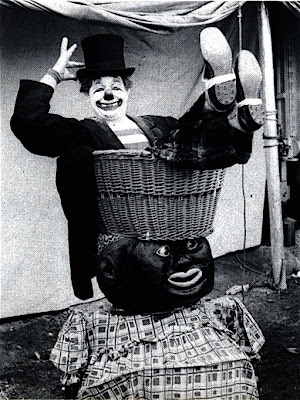 THIS is the type of classic clowning that is all too rare in contemporary American circus. Just listen to the kids in that audience!!! 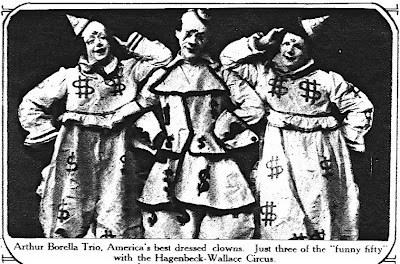 There are several Ringling photos of folks like Felix Adler and Lou Jacobs in alternate makeups but this Harry Atwell photo purports to be none other than Otto Griebling in n alternate whiteface publicity shot from the Cole Bros. 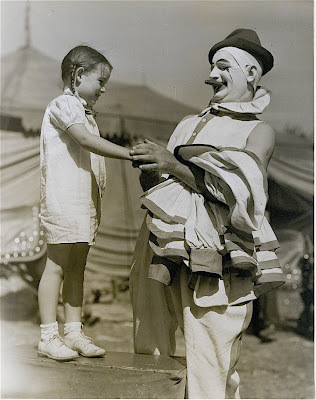 Circus in the early 1930s. 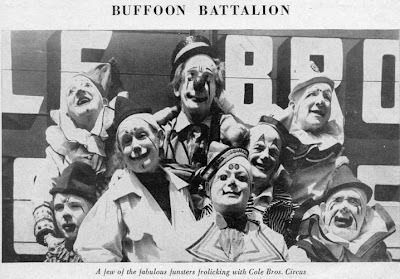 At the bottom center is Albert "Flo" White, to his immediate right is Danny McPride and on the bottom right is Horace Laird. Other than that I'm not sure off the top of my head. 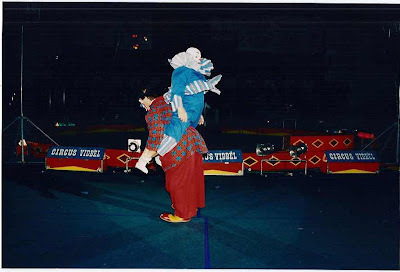 Fumagalli and Daris performing "come-in" with the current edition of the Big Apple Circus. 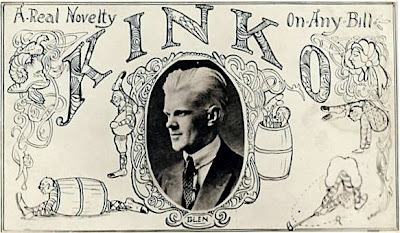 Billy and Mike performing Buckles Woodcock's very favorite classic clown gag, The Atomic Hair Grower. 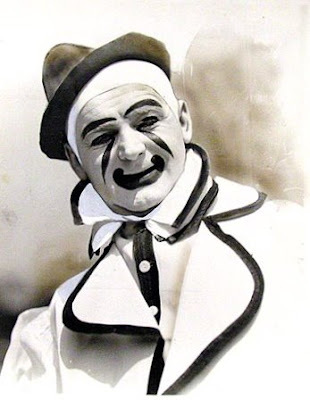 Anyone out there able to identify this "funny fellow"? 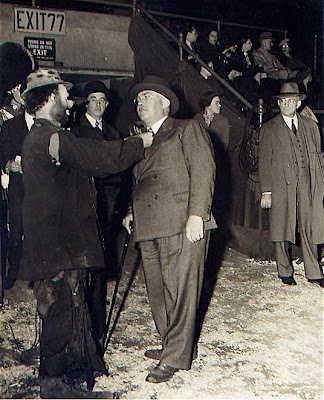 Emmett doing what Emmett does at an unknown indoor date in what looks to be the late 30s/early 40s. 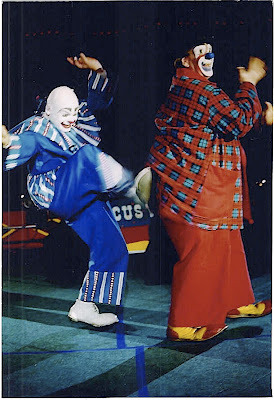 Francesco and Joel Jeske performing the Flutes entree at the Big Apple Circus in 2006. 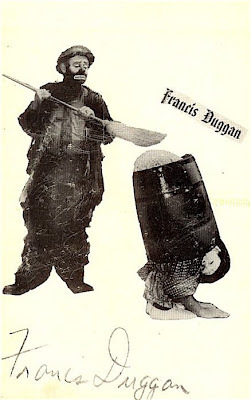 Emmett Kelly cleaning off comedy contortionist Francis Duggan. 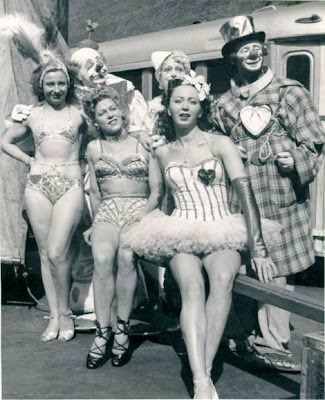 From left to right: Felix Adler, Lulu Cranston and Paul Jerome and a "bevy of beauties" including Ms. Lola Dobritch. 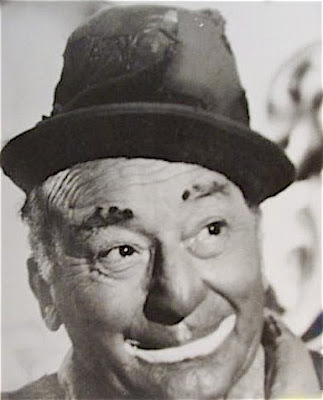 Clips have been posted (with Mr. Frye's blessings) from Charlie Frye's extraordinary Eccentricks series of instructional DVDs. 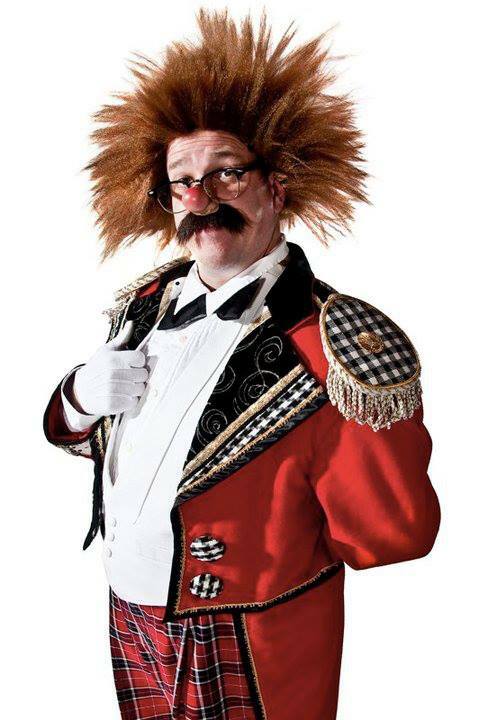 Each one is like a Master Class with Charlie teaching physical & visual comedy, juggling, magic and other miscellaneous manipulations machinated to amuse and amaze. The DVDs can (and should) be ordered directly from Charlie himself at his website here.